Natacha Voranger was born in South of France, Aix en Provence in 1992. At the age of fifteen, she moved to Berlin where she began to study fashion design at the International Academy of design ESMOD. After graduation, she worked in London and Hangzhou (China) and decide to come back in Berlin to assist several fashion stylists. Throughout her years as a freelance stylist assistant, she has been lucky to assist Akeem Smith, Rich Aybar, Jodie Barnes, Jay Massacret and Sabina Schreder, to name a few. In September 2016, she moved to Paris to work as Carine Roitfeld’s first assistant. By her side she worked for clients such as Chanel and Alberta Ferretti and also worked for her Magazine, the CR Fashion Book. 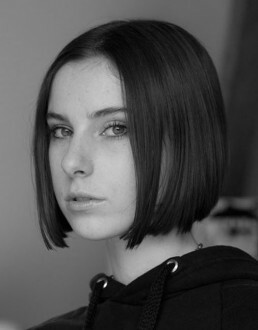 Currently Natacha is working as a freelance fashion stylist and works for clients such as Chanel, Adidas and Zalando. Besides this she has always been interested to work with different artists and take fashion as a vector to express herself on the current society.